Transportation electrification is inevitable driven by rising energy costs, climate and emission control requirements, and availability of petroleum supplies. Even a realistic 10 % electrification of transportation is expected to impact the electricity generation, transmission, and distribution capacities, and hence the world economy. In this chapter, the authors seek to enlighten the reader on electric vehicle usage around the world by discussing their applications, electric vehicle trials, and key learnings from these trials across three continents: America, Europe, and Australia. Special emphasis has been given to discussing the commuting trends across the three continents and how that effects the transition into the electrification of transportation. 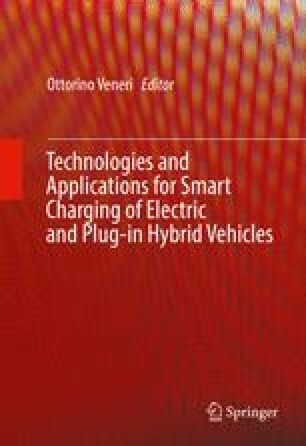 The chapter continues with an impact analysis of electric vehicles on car users, the power quality of grids, and finally carbon emissions. Finally, examples of charging infrastructure and worldwide vehicle-to-grid applications are reviewed. The chapter concludes with a discussion on the need for interoperable communication standards, as an enabling technology for the management of the transactions between the grid and electric vehicles.